Record sales statistics over the past year or so - including several record shares of the new car market - underline that SEAT's brand of sporty, dynamic and great value cars is connecting with British drivers like never before. 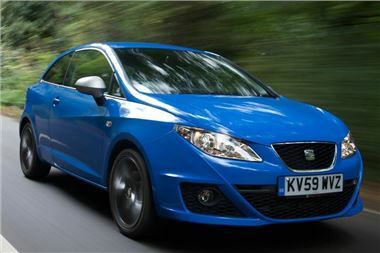 However, it's not just SEAT's selection of new models that is flying off dealers' forecourts. Used SEAT sales are also running at record levels right now. So far this year (end of October, 2011) SEAT dealers' used car sales to the public are significantly up versus the same period in 2010, too. In fact, used SEAT sales at the brand's best-performing dealers are as much as 33% up on 2010 as value-conscious buyers seek out the Spanish marque's mix of sporty style, generous equipment and impressive economy. SEAT UK's Used Car Sales Manager, David Ardern, is understandably pleased by the significant rise in sales. He said: ‘SEAT's network of dealers across the country is hungry for late model, low mileage vehicles as it knows the buyers are out there. Broadly strong residual values across the range help, of course, with used car buyers happy to invest in a SEAT confident in the knowledge that it should hang on to a fair proportion of its value over time. But the spike in used car sales could also be the result of more new SEATs than ever before hitting the UK's roads - working as ‘rolling adverts' for the brand and raising awareness with drivers who want to stand out from the crowd in a stylish, reliable and eye-catching car.